Does Iowa Need A New Oil Pipeline? There are calls to increase our capacity to ship oil by a new pipeline across Iowa. It is asserted a new pipeline will provide needed energy for Iowa’s industries and other energy consumers, it would help create energy independence and jobs. Overlooking the necessity to acquire valuable farmland and the inherent risk of pipeline leakage and potential to harm aquifers, pipelines could be somewhat safer and more efficient than rail transit. However, there is an even greater need to reduce dependency on fossil fuels. Debate about the pros and cons of safest delivery for Bakken oil by train or by pipeline, and the number of “good” short term jobs provided by either route, distracts from the far more pressing issue. We need to begin a real conversation about how can Iowa move beyond dependency on fossil fuels–domestic or foreign. As the number one consumer of oil in the world, the United States must make every attempt to reduce our carbon footprint and begin to improve the options for a liveable future. It’s important that business leaders & elected officials understand that pipelines are just not in our economic interest, they are not in the interest of safety or public health. As the climate continues to become more chaotic, storms, floods, reduced agricultural production, and water pollution will all become far more costly to the public, here and elsewhere, than any safety or economic gains generated by the proposed pipeline. The public, our children and grandchildren all deserve a livable future. Let’s use Iowa’s resources, physical and intellectual, to make serious efforts to move to alternative energy sources, to reduce our demand for more energy, to improve Iowa’s capacity to provide essentials like food and water to current and future generations. Invest in good jobs in clean energy, and improve our economy, not just in the present but for many years to come. Do not build more pipelines across Iowa! 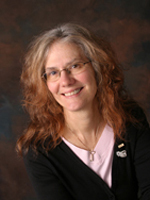 Maureen McCue MD PhD is an adjunct professor of global health at the University of Iowa. Her medical specialty is epidemiology. She is also on the national board of directors for Physicians for Social Responsibility, and coordinator for its Iowa Chapter. This entry was posted in Environment and tagged Bakken Oil Pipeline, by Dr. Maureen McCue. Bookmark the permalink. 1 Response to Does Iowa Need A New Oil Pipeline? I agree with you. We do not need this pipeline. We need more emphasis on renewable energy sources, less on fossil fuels.